Since Twitter gives you a possibility to check the statistics (LINK), you can check up on details about your audience. It is available for all users and summarises actions and results of their profiles [https://analytics.twitter.com/]. But let’s focus on your audience: in the third tab, after opening Twitter Analytics, you will find Audiences. Here you have information about various aspects connected to your followers. You have all your basic demographic info on them. Age and gender are key ones which can help you better curate your language and discussed topics. Location and language tell you which specific language you should use for your communication. What is more – you can even check your fans’ interests. With this valuable information, you can engage more people by talking about things the like or are talking about. With Twitter Analytics you can also compare your audience with all Twitter users or just to a specific group of users. 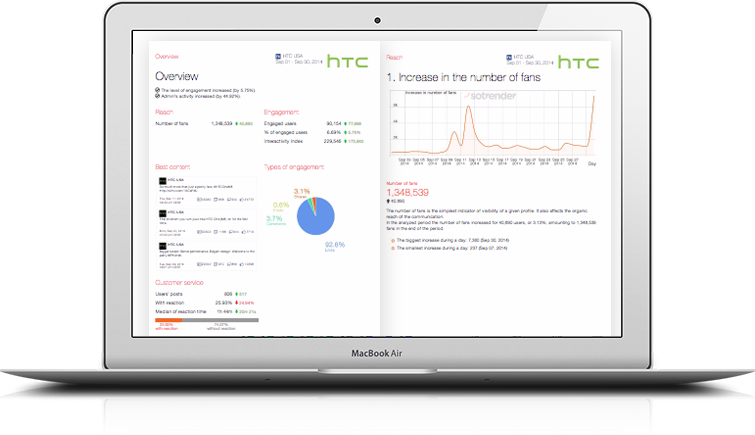 But if you want more audience analytics, you’ll need to use a social media analytics tool like Sotrender.